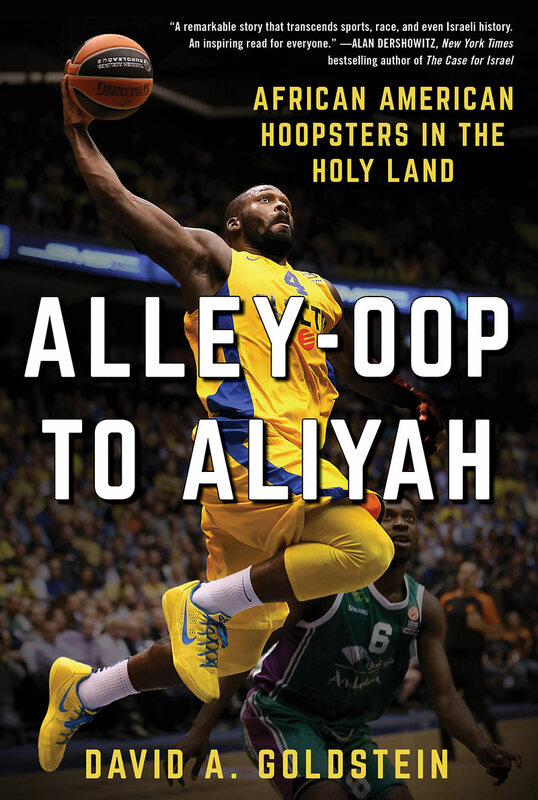 After telling people about my new book, Alley-Oop to Aliyah: African American Hoopsters in the Holy Land, I’m often posed two questions, usually in the same order: How did I come up with the idea? And, how long did the process take? I answered the first question in my opening blog post, and today I’ll expand on the answer to the second. I first became intrigued by the topic of African American basketball players in Israel in May 2007, while visiting my grandparents in Jerusalem. On my return to Toronto, I read everything I could about basketball in Israel, and the experiences of African American players there specifically. The more I read, the more I wanted to know, and I began seeking out first-person accounts. As luck would have it, the 2007-2008 Toronto Raptors featured not one but two African American players who had done stints in Israel – Anthony Parker and Maceo Baston – and their glowing words about their Israeli experiences stoked my interest even further. From there, I began casting a wider net, reaching out to agents to connect me with their Israeli league clients, going to events where attendees might have connections to Israeli basketball, and even cold-calling players and former players with Facebook messages requesting phone interviews. The process of researching the topic and interviewing players was a lengthy one. I was a full-time lawyer at a corporate firm in Toronto, so I arranged phone interviews around my work schedule, and I also made sure to meet with interview subjects face-to-face on my yearly trips to Israel to visit my family there. All the while I was reviewing my research and interview notes for common themes, experiences and challenges, and sketching an outline for the structure of the book. Some chapter topics were obvious from the start, and others developed as I got to know the players and their circumstances better over the years. Eventually, outline sketches turned into proper writing, and I began working on draft chapters in the spring of 2011, fully four years after beginning the research process! Having spent so much time and thought on my research, interviews, and the chapter outline, the writing of the manuscript itself ended up being one of the fastest aspects of the project. By January 2012 I had a draft I was comfortable with, and I was excited to keep up the momentum and move the project ahead. It was at that point that I started to reach out to literary agents, and to truly understand the amount of patience I would need to see the project through to completion. I started reaching out to literary agents in January 2012. What followed, to my surprise and a bit of dismay, was 23 months of rejections or non-replies – many agents found the topic interesting, fascinating even, but each had significant doubts about the audience for a book like mine. Basketball books generally don’t sell particularly well, and Alley-Oop to Aliyah was unlike any books on the market. In all, I approached 198 literary agents to ultimately receive four offers of representation, and I eventually signed with Sam Fleishman of Literary Artists Representatives in November 2013. With Sam aboard to represent me, we then worked on honing my book proposal before he began reaching out to publishing companies in January 2014. I would again need to exhibit some patience, as it took until November 2016 (almost another three years) until Sam found Skyhorse Publishing, a team that prides itself on working with an “eclectic and maverick” list of titles. After years of hearing that the lack of a successful historical precedent for this project was a drawback, Sam found a company that actively sought out unique topics and focused on taking on books that most publishers shy away from. Needless to say, I was thrilled to sign with Skyhorse, and I couldn’t imagine a better fit for Alley-Oop to Aliyah. This blog is being posted more than 10 years after I started working on this project, and only a few months before Alley-Oop to Aliyah finally hits bookstores. Suffice it to say this has been a long journey, yet I wouldn’t have changed a thing. Over the years I have gotten to know my interview subjects better and better, and I’ve become more confident in the broader significance of this topic. I’ve also been fortunate enough to find both a literary agent and publishing company who share that confidence, and my vision for this book. It’s been a decade well spent, and I can’t wait to see what the future holds for Alley-Oop to Aliyah.